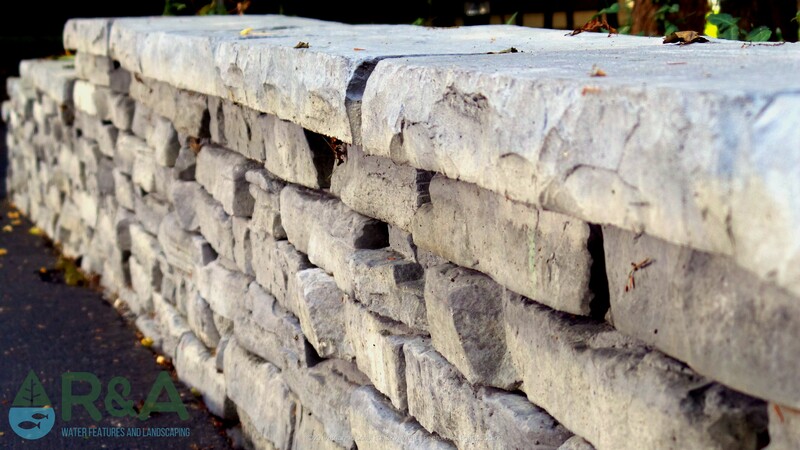 These Gull Lake residents had asked a custom home builder they had worked with in the past, Blok Builders, if they had any recommendations on a company that could fix their retaining wall. 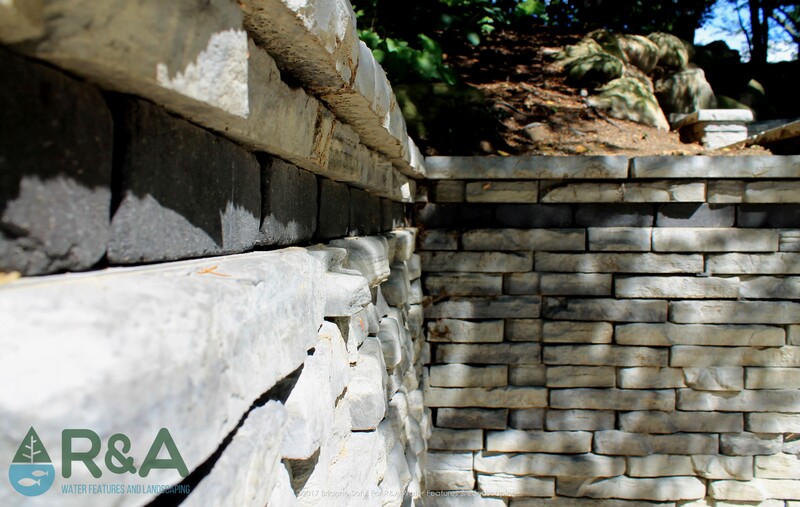 Since we have worked on multiple projects with Blok Builders, it was easy for them to give their recommendation for R&A Water Features & Landscaping. 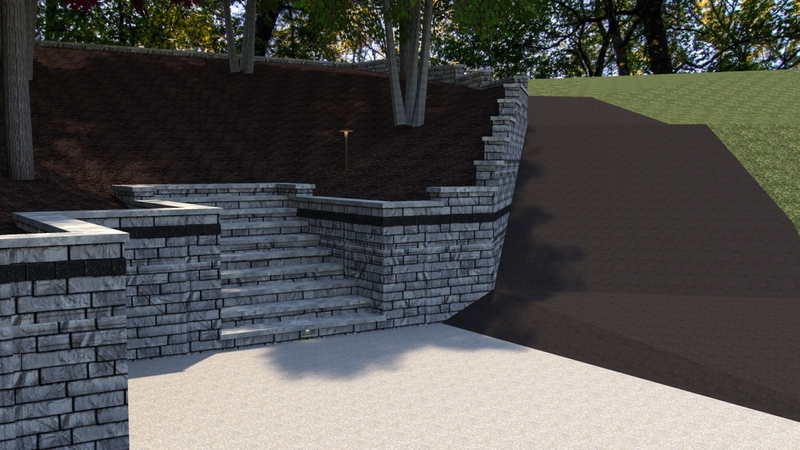 Retaining walls. Friend or Foe? Well they are both, some property's must have retaining walls and others just don't have the need for them. Those properties that require retaining walls have a 'frenemy' relationship, meaning the owners know they need a retaining wall, but that retaining wall has become unruly and is not complying with the owners wants and needs anymore. 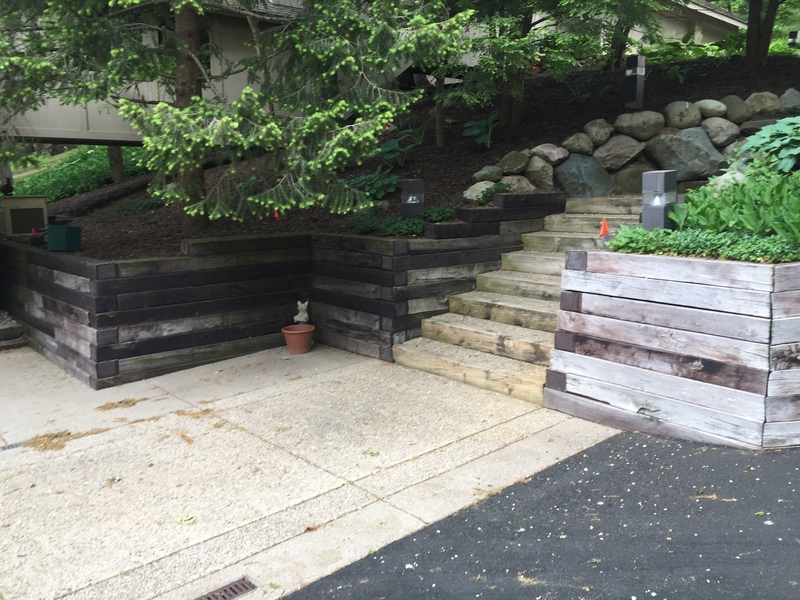 Many times these frenemy retaining walls are constructed from railroad ties, old boulder walls or other material that were not installed properly in the beginning and are no longer safe and are falling apart. This was the case for these Gull Lake residents. 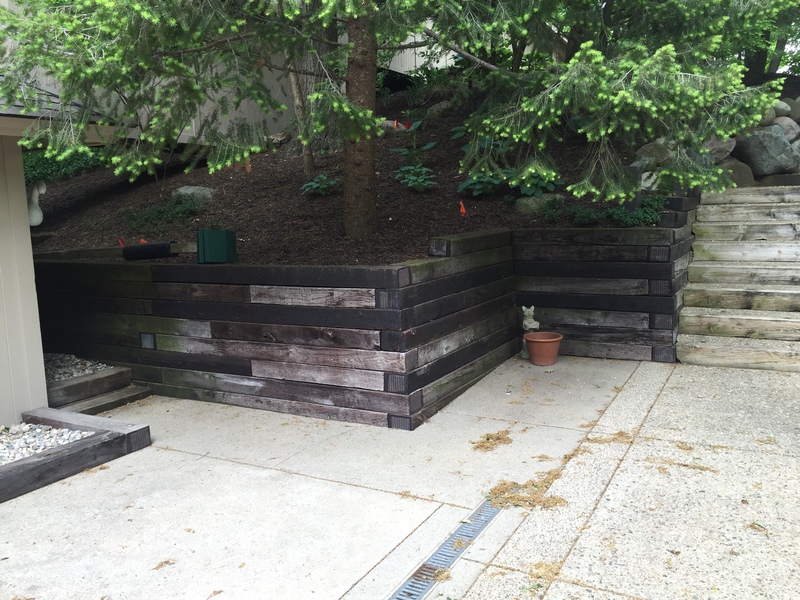 Their railroad tie retaining wall was quite old, 20-30 years, and was in dire need of replacement. 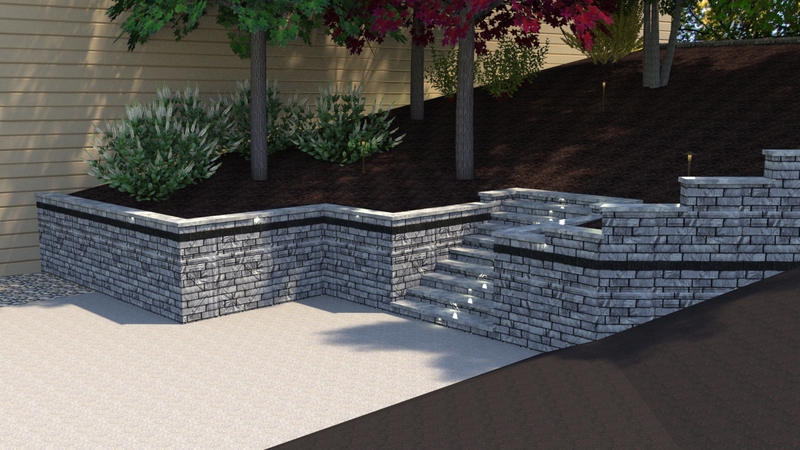 We created a small very basic landscape design with a few realistic rendered images to show these Gull Lake homeowners what they could expect their new retaining walls would look like. After discussing different material options along with their respective benefits and drawbacks, they chose a really beautiful engineered product from Unilock, with a contrasting band in black, also by Unilock. 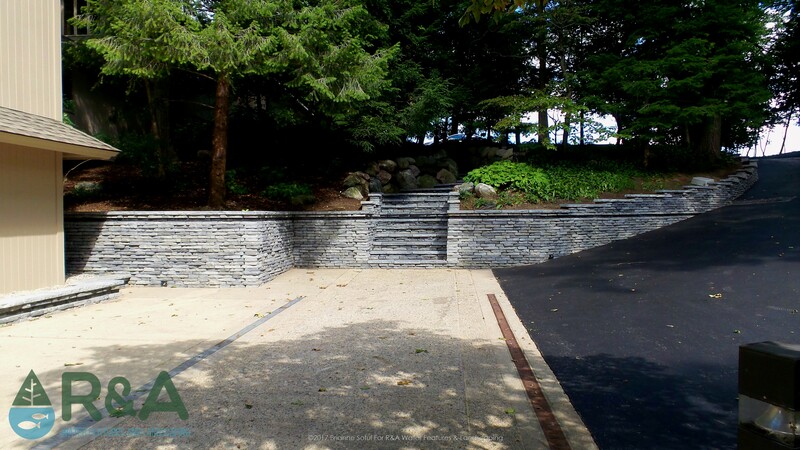 We replaced the existing walls, wrapping from the top of the driveway down to the bottom near the entrance. 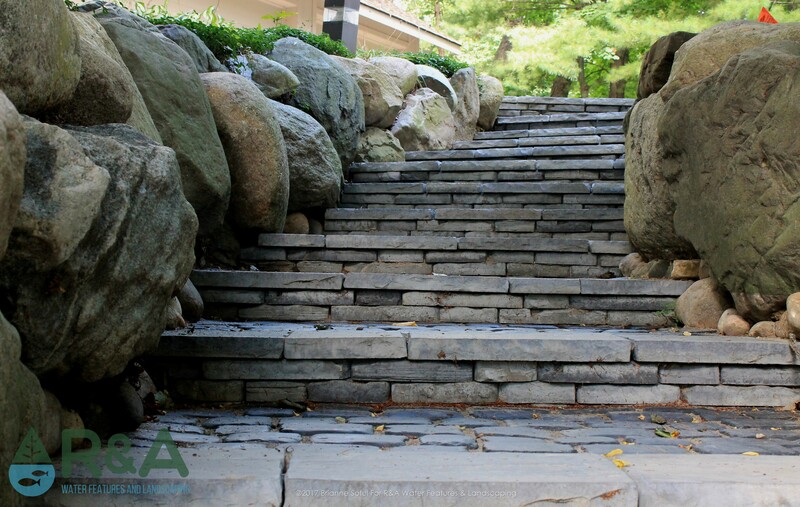 We also replaced the steps (while also increasing the tread length) which lead up to the driveway. Near the home's front door, a smaller 'seat wall' or 'sitting wall' was built, which created continuity and also a functional space for guests to chat. 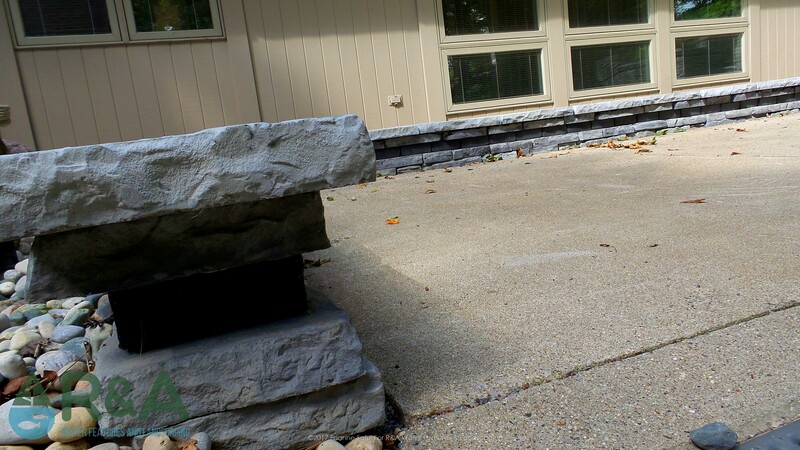 Now these Gull Lake homeowners no longer have to worry about their retaining wall failing and can enjoy the refined look and upgraded safety of their new wall and steps.